When you’re searching for “Oil Changes Scottsdale” Bridwell Automotive Center offers the best service in the valley. Whether your vehicle needs conventional, high mileage, synthetic blend or full synthetic oil, a Bridwell Automotive Center oil change includes checking, changing, inspecting, flushing, filling and cleaning essential systems and components of your vehicle. Scottsdale and Paradise Valley are known for all sorts of vehicles from daily drivers to exotic sports cars. Getting the right care for your vehicle preserves the value of your vehicle and is important no matter what make, model, or year you’re driving. Our technicians are highly trained to care for any domestic or foreign vehicle. This includes all types of vehicles from Fords to Ferrari and Lexus to Lamborghini. There isn’t a brand of vehicle we can’t care for as we are passionate about automobiles. At Bridwell Automotive Center we get you in and out of the service bay with your oil changed and your car checked and ready for the road, quickly and professionally to the highest industry standards! For more than 40 years, families have trusted their vehicle repair and maintenance to Bridwell Auto. We’ve been here in Scottsdale since 1970, and as a family-owned and operated auto repair business, our reputation is vital. Our technicians are experts in all types of car, truck, van and SUV repair and maintenance, and we specialize in European and foreign car repairs, parts and services. 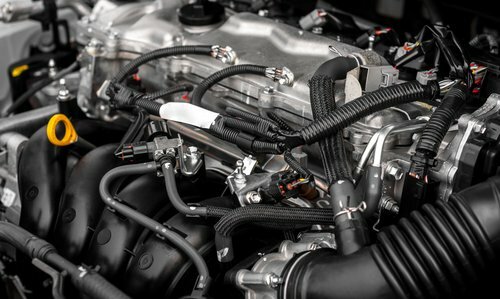 Our trained technicians perform a maintenance inspection of your vehicle’s essential systems and a visual examination to diagnose potential problems and plan any upcoming manufacturer recommended maintenance. We’ll review the findings with you so you are fully informed and drive with peace of mind when it comes to the condition of your vehicle. Our service is swift and efficient every time, and we guarantee our results as well as your satisfaction. Your oil should usually be changed every three to four months, depending on how much you drive your car. Synthetic oil should be changed about every 8,000 miles or at least once per year. At Bridwell, we treat our customers like family, take care to do the work properly, and do our best to make your routine auto maintenance easier – we promise great customer care and expert auto services. 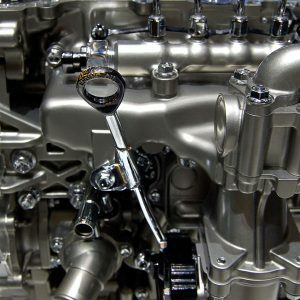 The needs of foreign cars, especially high performance or luxury sedans, require the right fluids and an understanding of the what makes them different. Bridwell Auto Center specializes in the care of high performance and luxury vehicles and offers foreign car oil changes, maintenance, and repairs for these highly technical automobiles. Our skilled technicians understand how your foreign car from Japan, Germany, Sweden, and other imports needs to be cared for to maintain optimal performance. When your foreign car is due for service, trust our highly trained and experienced team of foreign car specialists. An oil change with Bridwell Auto Center includes changing your oil, oil filter, an inspection of your vehicle, along with checking and filling fluid levels and tire pressure. Our detailed service ensures you know the overall condition of your can and can plan for any maintenance items including replacing worn tires or brake pads. 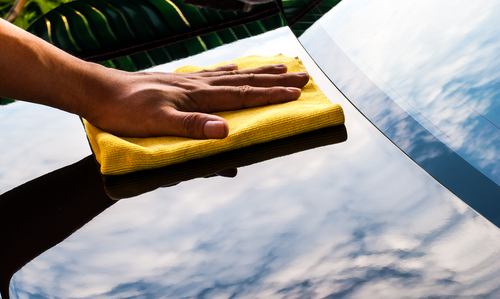 Our service is designed to care for your car so it can perform up to its design and keep you safe! 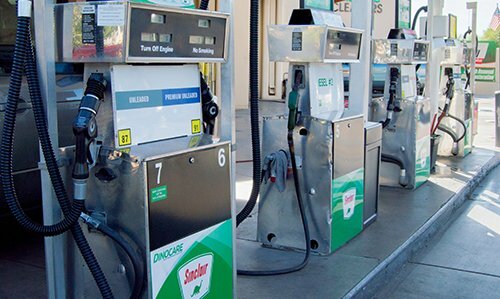 Great for customers looking to minimize spending on oil. This is particularly true for people who do not drive in extreme temperatures, dusty areas or hauling heavy loads. Mid-range oil mixture that offers better protections than conventional oil. Not as robust as full synthetic and also not as expensive, it does offer vastly improved attributes when compared to conventional oil. Created to possess strong qualities that are intended to maximize the benefit to your vehicle. The best when it comes to protective properties and also the most expensive oil type, fully synthetic oil is becoming increasingly popular with vehicle manufacturers in their newer models. Helps increase the longevity of an engine that has seen sustained use. The inherent properties help protect your system as well as replenish certain elements that may be wearing down. It’s easy to schedule an oil change in Scottsdale for your car, truck, or suv at Bridwell Automotive Center. We provide fast and efficient oil changes and specialize in Auto Repair and Auto Maintenance for Domestic and Foreign Cars. There isn’t a brand we’re not qualified to maintain or repair so you can trust us with your high performance an exotic vehicles. Call to schedule an appointment at 480-948-4781. At Bridwell Automotive, trained and certified ASE Master Technicians perform oil changes. An oil change at our facility includes a comprehensive vehicle inspection at no additional charge; you get peace of mind. Please contact us with any questions or concerns you may have about your vehicle and any of our Auto Repair Services. Check our Facebook page for oil change specials and coupons! Bridwell offers fast and efficient oil changes for any car, truck, or suv.